Whatever your situation is, I want to help. I believe that financial planning should not be limited to the wealthy few who have accumulated a six-figure sum of investable assets. 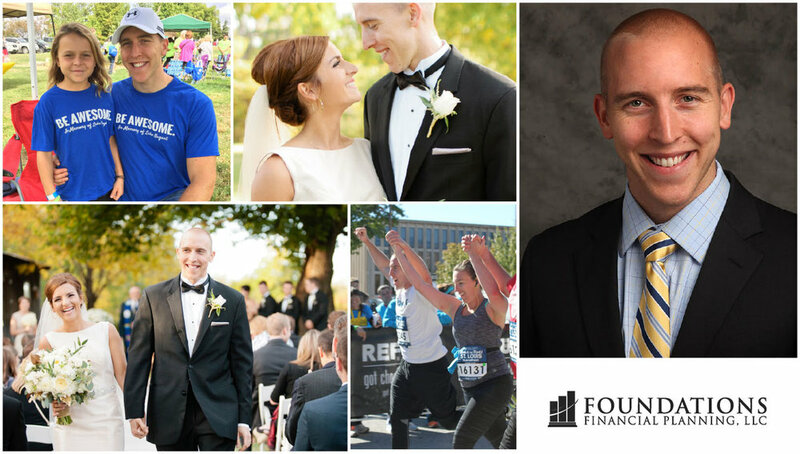 Foundations Financial Planning was established to provide financial services to people throughout every stage of life. Whatever your situation is, I want to help. Foundations is a fee-only firm that offers virtual planning services. I am fee-only because I want you to know how much you are paying for my services. After graduating with a Master's degree in Accounting from the University of Missouri, I obtained my CPA license and worked for a Big-4 accounting firm. In 2014, I began my own tax practice while working full time in the finance industry. Working with personal taxes made me realize the importance of comprehensive financial planning. Too many people miss out on potential savings because of a lack of planning. In 2016, I obtained my Personal Financial Specialist (PFS) license in order to become an investment advisor to assist people with financial planning. When my wife and I moved to southwest Missouri, my tax practice became my full-time job. I chose to start a financial planning company to help people develop comprehensive financial plans. That was the beginning of Foundations Financial Planning. Foundations exists to give everyone, regardless of their assets, access to professional financial planning. Mike was interviewed by the Hustle to Freedom Podcast in July of 2018. Learn more more about Mike’s story by listening here!